Sushi. 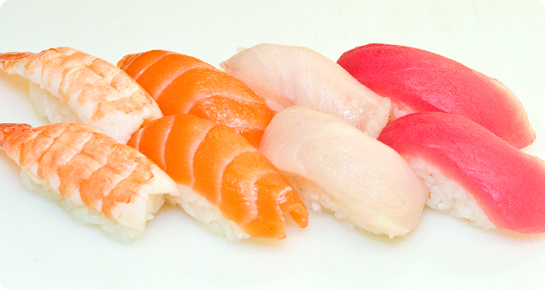 Fresh Sashimi, Kosher Sushi, Noodle Salads & more. 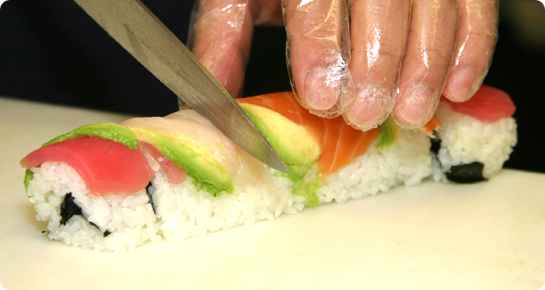 Our on-site sushi chef skillfully and artfully prepares delicious trays of fresh nigiri sushi and sushi rolls fresh each day. 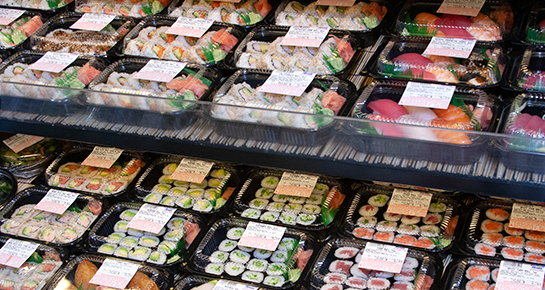 Other specialties include fresh sashimi plates, spicy tuna bowls, Japanese noodle salads, and bento boxes. Craving something that is not in our display case? 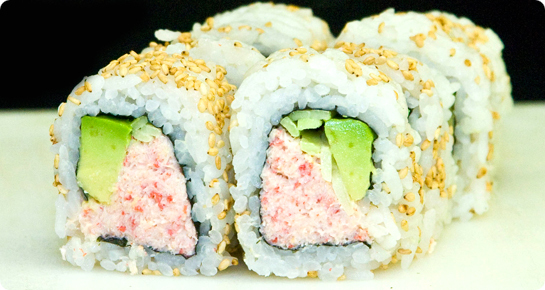 Our sushi chef is happy to accommodate your special requests. Need a sushi platter for your next social function? We have a complete platter menu to satisfy even the most picky guest.